When I was asked to do this blog my first thought was, I don’t want to strip my label. I don’t think labels are always bad. I am a librarian, a wife, a mother, a grandmother, a 29-year breast cancer survivor- all labels I am proud to have. Each one defines a part of my life. Some labels I wouldn’t mind losing, like being a procrastinator, judgmental, or stubborn. I am working on those. It is a normal human behavior to label things and people to help us understand them. If you consider how a child learns to talk or read, the first things she learns are labels for people and things. Mama, Dada, milk, cookie…. As children have more experience they get a more complete understanding of each thing. In some ways, it’s the same for adults. When we meet someone new, we ask them for their labels. “What do you do for a living?” “Do you have any children?” “Where do you live?” We are looking for a connection or a way to know the person better. The problem comes when we think if we know the label that is all there is to know. We need to be willing to take the time to get to know the real person we have just met. The labels we identify are just a starting point. Find out what other experiences or feelings have shaped the life of your new acquaintance. You may find you have made a lifelong friend. Many labels are rooted in stereotypes. I am proud to be “The Library Lady”. My license plate even says, “SHHH”. As a librarian, many people think they know what kind of person I am just because of the profession I have. I am thought to be a quiet person who reads all day, and who is really interested if you have overdue books. I can’t count the number of times when I mention I am a librarian that the first thing a person tells me is that they have overdue books or fines. I can be a quiet person sometimes and I do like to read when I have time, but you might be surprised if you saw me at a party. I am usually the first one on the dance floor and often the last one to leave. I am a country music fan, which surprises some people who know me. I love cars and often go to car shows with my husband. I prefer driving a car with a manual transmission, but they are hard to find anymore. Labels can be limiting, not only in our relationships but also in our own minds. I am happy to be a breast cancer survivor, but when I was going through treatment I decided I wasn’t going to let this change my life any more than absolutely necessary. I continued to work and care for my young children. I wore a wig cut to my regular hairstyle so it wasn’t obvious to those who didn’t know me well that I was undergoing cancer treatments. I did as much of my regular routine as I could, with a lot of help from my husband. I didn’t want cancer to define me to others or myself. Labels do help others get to know us, but we have to get beyond the stereotypes to really get to know one another. To make a true connection we have to have real conversations that explore our values, our feelings and how we see ourselves and each other. We need to be willing to let others see us as we are. It is difficult to be open with others, especially those who are new to us. We feel vulnerable when we don’t know how someone will react to what we reveal of ourselves. 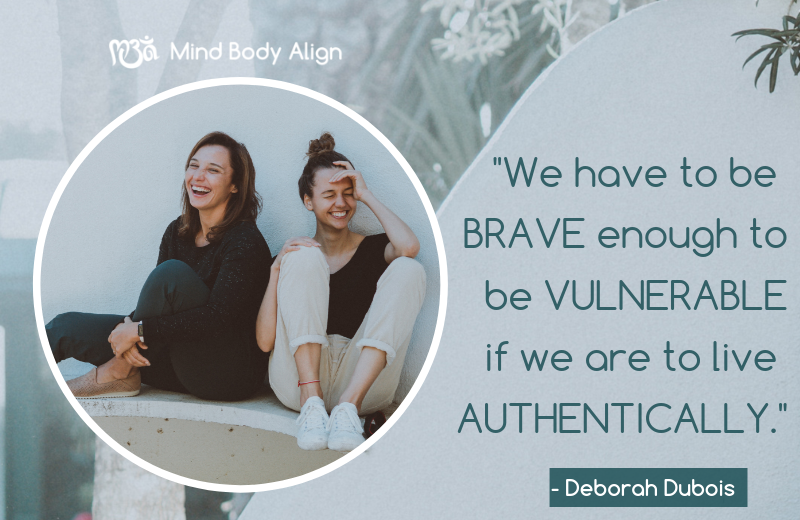 But we have to be brave enough to be vulnerable if we are to live authentically. We also need to examine our own values and live in accordance with them. Do we act differently because we worry about what a certain person or group will think of us? If we try to live consciously, working toward the person we want to become, we can be open to others and let them see our real selves. It isn’t easy and it takes time and work, just like any worthwhile endeavor. 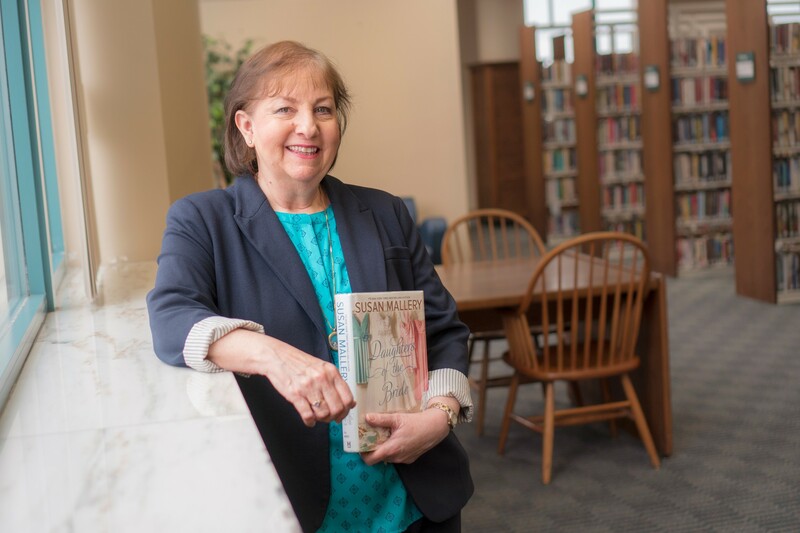 Deborah L. Dubois is the Outreach Coordinator at the Mansfield/Richland County Public Library where she has worked for 34 years. Deborah enjoys taking the Library out into the community and sharing what a wonderful resource we have in Richland County. She loves to dance, travel, take photos, and of course, read. She is married to Deacon Tom Dubois and has two daughters, two sons-in-law, and two grandchildren. This was a nice piece to read at a perfect time this morning! Well said ! Thanks, Deb! Your blog is so such true, and a great reminder to look deeper then a label!!! And I thought I knew you. What a fool I am! It’s great to have this MBA forum to really share who you are. Love your smile and Shhhhhh plate. Good topic and very nice article.